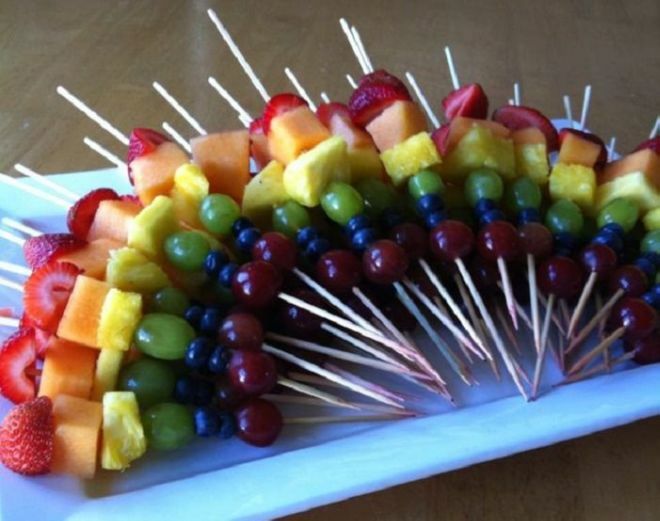 Another trick to get kids to eat their fruit and for adults to appreciate your hard work. 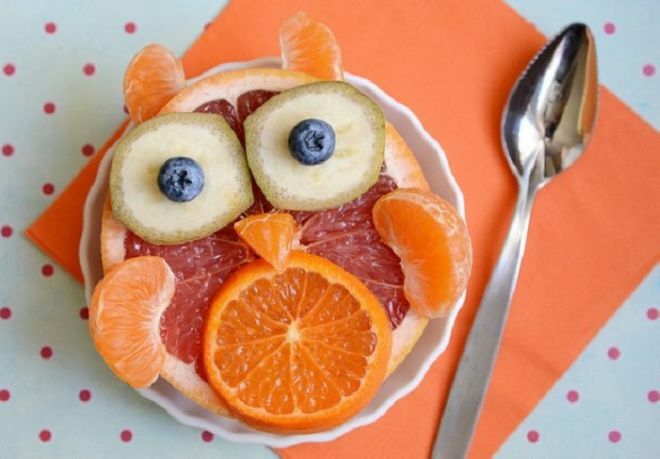 Cut a red grapefruit in half, use a tangerine slice for the stomach, a couple of tangerine pieces as wings, a triangle of tangerine as a beak, and blueberries or raisins atop two round lemon peels for eyes. As simple as any idea could be, but most of us simply wouldn’t think of it. This easy and impressive dessert requires some colorful fruits and wooden skewers. Cut the fruit into relatively small pieces, and then skewer them in a particular order. Once you’ve made enough skewers, place them in a half circle on a plate. You can add a chocolate fondue for that extra oomph. This delicate and fancy arrangement is an eye-catching addition to any meal. What you need is a few different vegetables, such as zucchinis, carrots, radishes, cucumbers, and sprouts. 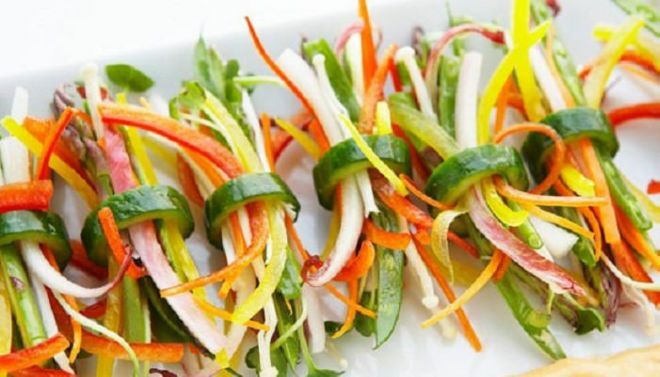 Cut the vegetables into thin, fine strips. Cut one zucchini into even, round slices, and then hollow them out, forming a ring. Make a bunch of different strips and put them in the ring. Your guests will love this colorful delight. Give your guests some flowers that they can eat. They won’t soon forget it. Cut the tomatoes in an X, but make sure not to cut it all the way. Gently scoop out the seeds. Use your fingers to open the tomato up and fill it with the cheese. 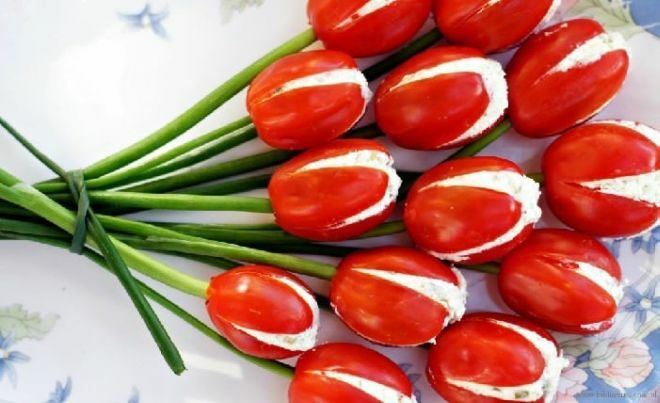 Make a small cut in the bottom of each tomato and use the green onions to create “stalks”. Use a thin stalk as a ribbon and tie the bouquet for serving. If you want to impress your guests, this is the best way to go about it. This is an elaborate way to serve a fruit salad that will leave even the most cynical guest in awe. 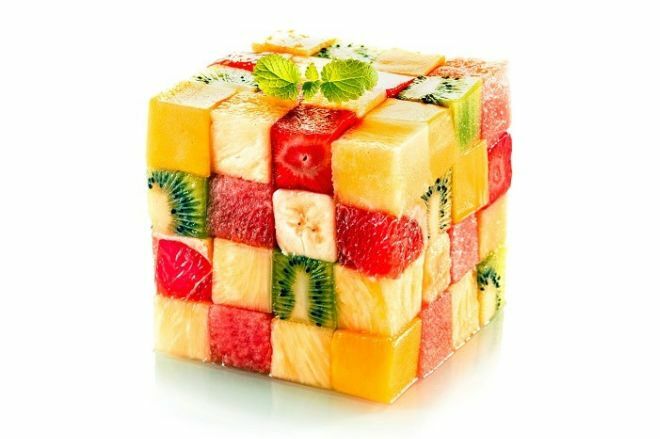 Use a dicer or a knife to cut even-sized cubes out of various fruits, and then assemble the cube. Serve it on a plain white plate and garnish with a mint sprig. Your guests will never know what hit them. One of the summer’s most sublime delights is sitting on your porch with friends, and eating a nice, cold watermelon. If you want to serve it in a manlier way than the hearts in #3, why not serve your friends a pizza they’ll never forget? 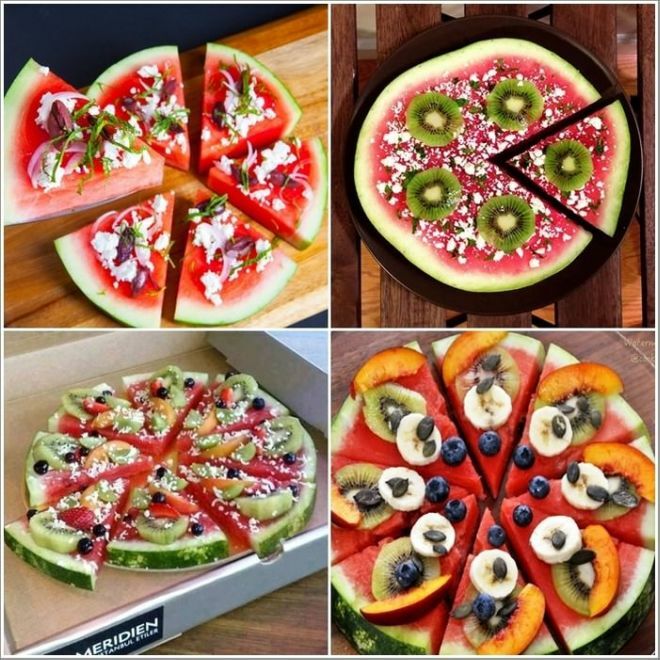 All you need to do is slice the watermelon into even slices and then cut each slice into triangles. 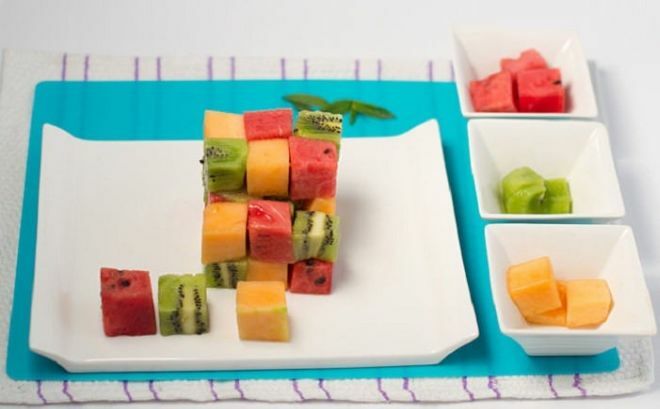 Top each triangle with other fruits, and sprinkle a lightly-salted cheese (such as feta) on top. Add mint leaves as a garnish, grab a slice and enjoy.